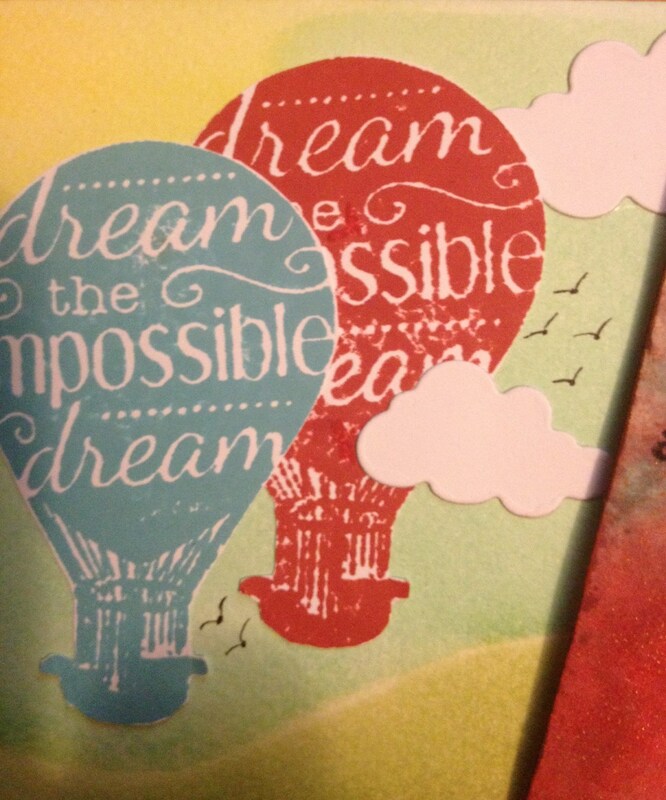 My card today uses the Itty Bitty "Precious Things".. I have always loved this little stamp set, in fact, I just LOVE birds! 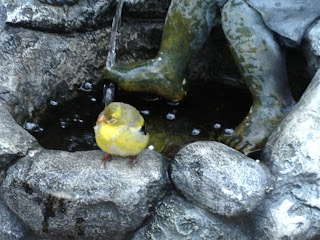 Look at this little finch that posed for me a few weeks ago..
Oh well, back to my card. 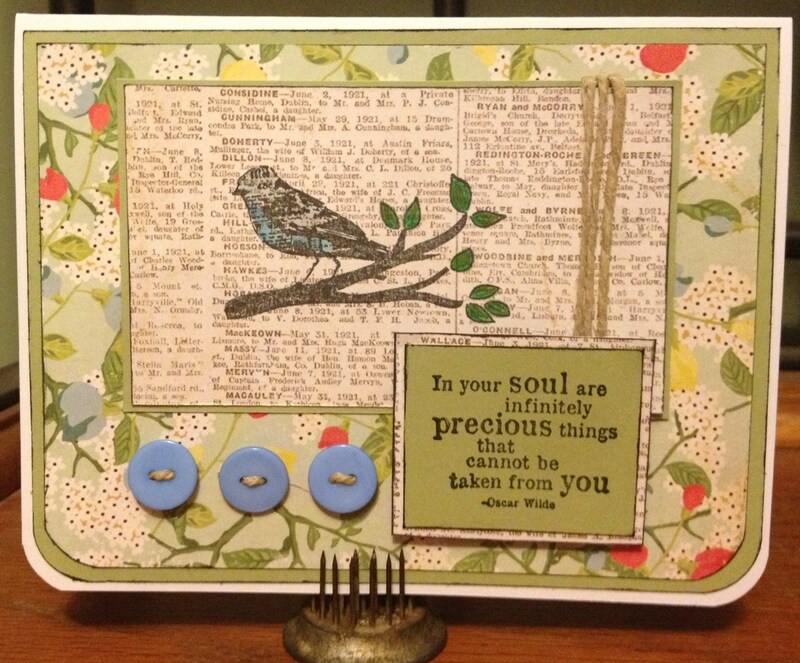 I used We R Memory Keepers Corner Chomper on the Botton Corners and Popped up the sentiment with Pop Dots. It was pretty quick and easy. 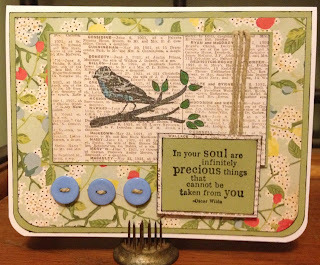 In this card I used, SU Cardstock, Unity Itty Bitty Precious Things, Memento Tuxedo Black Ink, Echo Park Bella Road DP "Newsprint" and "Fancy Floral", as well as some twine and buttons from my stash. I once heard that God cares more about our character than our circumstances. I thought on that a bit today and realized that although my life circumstances haven't always been ideal, they have certainly changed my character. So today I wanted to Celebrate Life! The sky's the limit and until I take my last breath, I can continue becoming a better person, the person God intends for me to be. My card today is a VERY different type of card than I usually create. Here is my card.. I cut a mask for the bottom of the card to use the dauber to create the hills and the sky and I even painted in a few birds. Wow! For me, this is waaaaaay outside the box! This has been a really fun card for me to create! I hope you enjoy it! Products used: Watercolor Paper, Unity Stamp of the Week: "Dream the Impossible", Sentiment: Unity "Your Wings Exist", Tim Holtz Fired Brick and Broken China on balloons and used to distress the tag, Sentiment stamped with Memento Tuxedo Black, Background made with daubers and Stampin Up Ink: Pear Pizzazz, Summer Sun, Pool Party as well as Tim Holtz Distress Ink Broken China, Taylored Expression's Cloud Dies, Birds painted with Tim Holtz Black Soot Distress Marker. 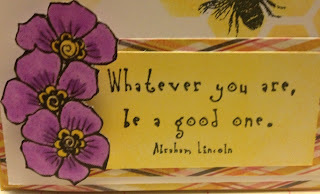 Whatever You Are BEE A Good One! Well today's project is definitely "Yellow" again. Maybe I'll find another Yellow Challenge! 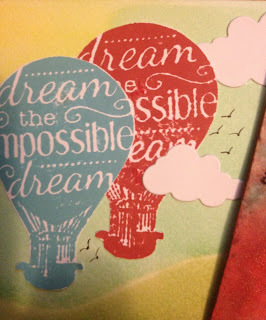 Actually today I wanted to use a new Heidi Swapp stencil I had purchased at Michael's yesterday. It is sold as a spray stencil with the Heidi Swapp sprays but I used it with a dauber and Stampin Up! ink pads. I really liked this technique so perhaps I'll purchase a few more stencils. Here's the picture of my card.. I had already colored in the flowers from a Digi Stamp from Unity that I had downloaded for another challenge. I was so overwhelmed by all of the awesome projects that people had entered for that Challenge that I decided not to enter that one. I wanted a pop of color on this so I cut out the flowers from the Digi and popped them up with a couple of pop dots. 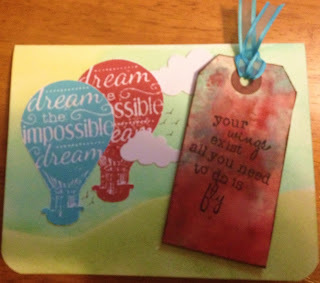 I used the dauber with Stampin Up! 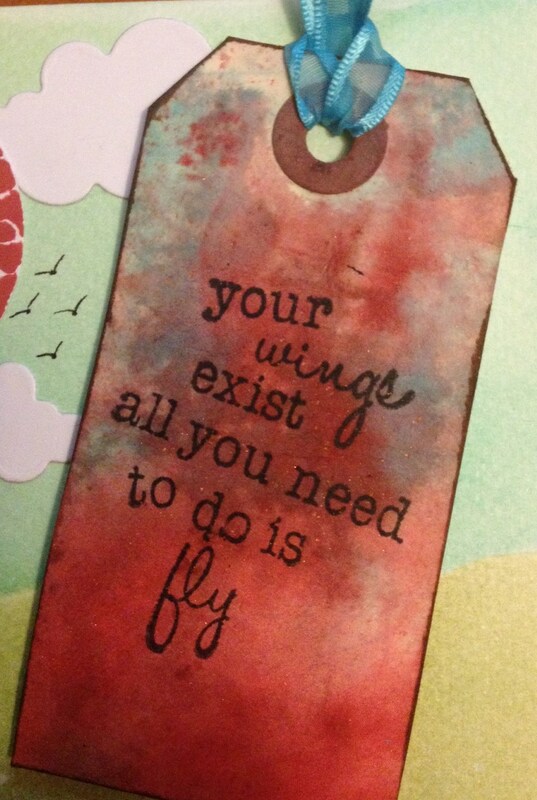 ink on the white card stock that I used to stamp the sentiment as well. 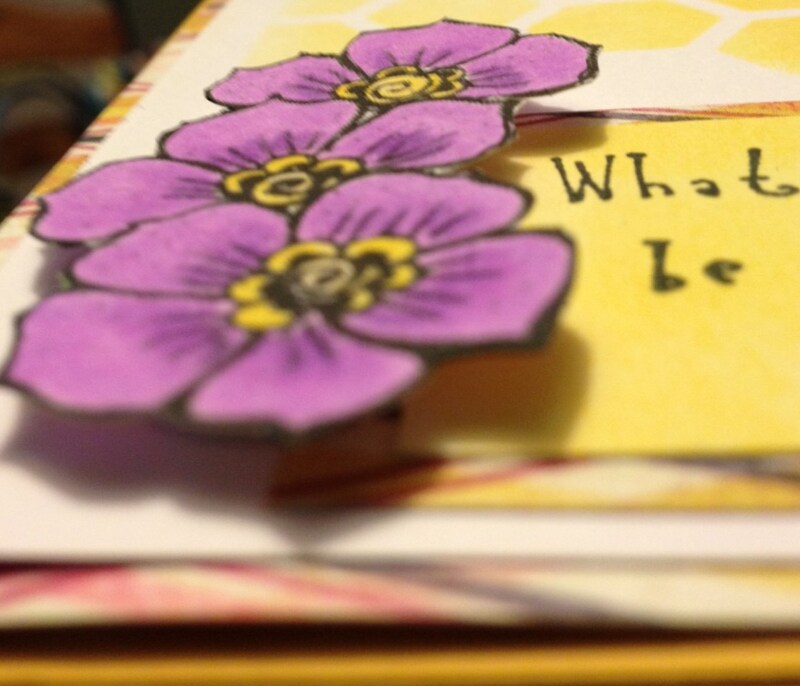 Here is a little closer shot of the flowers..
Perhaps I should have added an extra "e" to be on the sentiment. :) Thanks for stopping by! I'm sure I'll get a little better at this eventually. 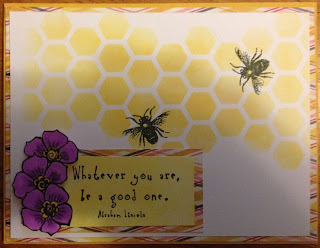 Free Digi Stamp from Unity, Sentiment from Unity "All about Balance", Heidi Swap Spray Stencil #1, Bees from MME The Sweetest Thing Honey "Happiness" Stamps, DP MME The Sweetest Thing, Stampin Up! 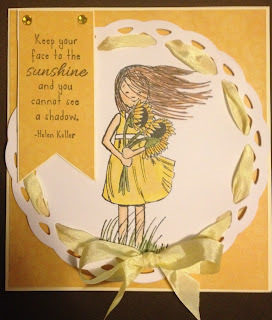 Ink Summer Sun and Apricot Appeal, Sentiment Stamped with Memento Tuxedo Black Ink, Combination of Copics and Chromatix Used on Flowers. 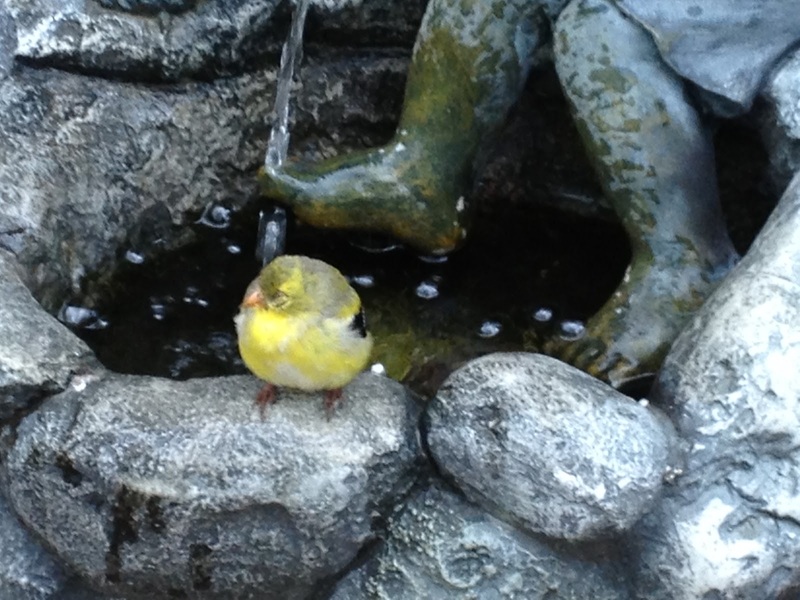 Well, Here it is, My Very First Blog Post!!! Ok, so I guess it's about time but this is not going to be nearly as fancy as all those other fabulous blogs that I love to check daily for inspiration. Ok, ok, so I've got to start some where, some time, why not now?? I decided to enter a card into a challenge. This is something I've never done but my sweet friend Nicole suggested I go for it so even though I realize I don't have the same level of talent as some do, I might as well give it a whirl. As a matter of fact, the bottom line is, I L-O-V-E making cards and scrapbooking and I might as well spend some of my free time doing something I enjoy.